We are very glad that we chose a local contractor, because once you started the job, there was no disappearing act that all homeowners who have hired contractors fear. We knew that our kitchen was a priority, and your strong sense of responsibility and commitment meant you would keep our project a top priority. Do not be intimidated by renovations that span the inside of your house. Let Wyeth Woodworking and Remodeling work with you to create you dream bathroom, kitchen, basement or floor within an affordable budget. What is more fun than renovating the parts of your home that anyone can see as they drive by? Wyeth Woodworking and Remodeling will replace and enhance your home’s roofs, siding, decks, outdoor kitchens, windows, doors and more so that your home is not only aesthetically pleasing, but safe and comfortable too. What are some of the main reasons you may want to remodel your kitchen? Are the cabinets old and outdated? Are the appliances dirty and permanently stained? Has the cook-top started to rust, and no matter how many times you clean the oven, the “burnt” scent wafts through your kitchen? Are you trying to sell your house? Do you want a great return on investment? Instead of dreaming up a huge budget with the best appliances and hardwood cabinetry to grace any kitchen in your neighborhood, take stock in some of the simpler, more sensible makeover solutions. If full cabinet replacement along with full appliance replacement is too expensive, opt for appliances of similar size with better enhanced features. For instance, an over-the-oven microwave can be improved by installing a convection/microwave/warmer combination machine. Replace your old 30 to 36 inch electric cook top with an induction cook top. Instead of replacing your old cabinets, reface them with new drawer and door fronts as well as putting on new knobs and handles. For cabinets that are really broken, you can easily replace them by turning two 15-inch drawer-over-door cabinets into one 30-inch pan drawer cabinet. Keep cabinets installed in the same places so that you don’t have to move appliances and outlets around. A blind corner cabinet can become a lazy susan cabinet. For dingy countertops, the most budget-conscious fix is to install laminate countertops, especially if you have a U or L-shaped kitchen with no center island. If you do have an island, choose a newer model from your local home improvement store. For extra space, use that space between countertops and wall cabinets to install multiple backsplash organizers that can hold paper towel holders, utensils, spice and cooking jars and other dishes or pantry foods. 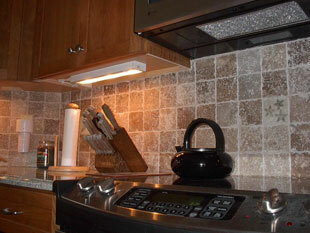 Kitchen remodeling does not have to break the bank. It can be done simply and affordably. That is why it is Wyeth Woodworking and Remodeling’s featured service.